In this article we will start off with the seventh configuration “Publish and Apply Design”. Here under Publish and Apply Design, we will be able to publish and apply our design which we modified in the Design Manager. Click on ‘Assign master page to your site based on device channel’. You will come to the configuration here of Site Master Page Settings as per the screen below. Under this setting, you can either make your site inherit from the parent’s master page or select a new master page for this site. You can also make all the sub sites of this site to inherit the same master page as this. 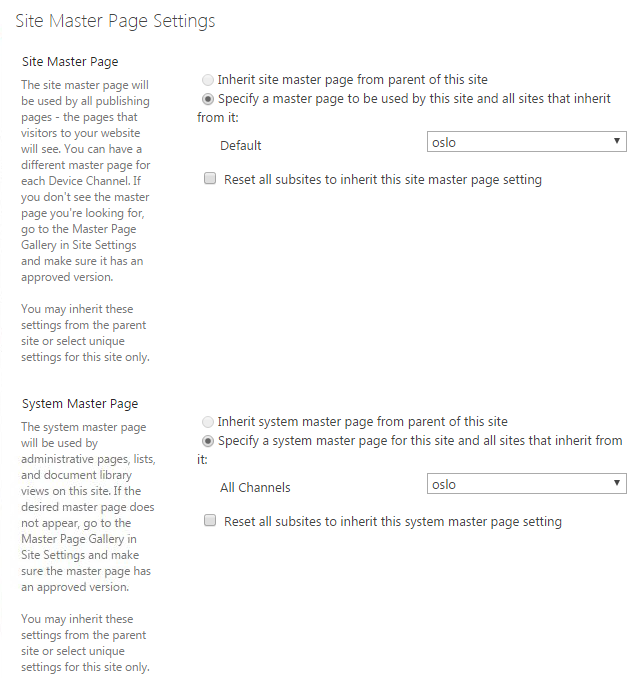 Similarly under this setting, you can either make your site inherit from the parent’s system master page or select a new system master page for this site. You can also make all the sub sites of this site to inherit the same system master page as this. You can choose the theme from the parent’s and can make all the sub sites of this site to inherit the same theme as this site. Here you can inherit the css of the site from the parent or use the default styles and css files associated with your master page or browse a new css file from your system. 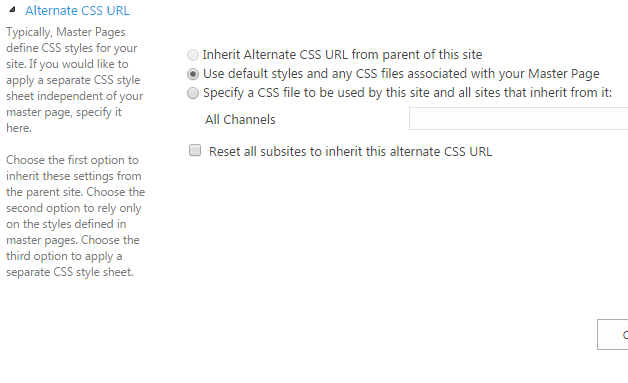 Here you can too make the sub sites inherit the css file as your current parent site. Once your configuration is done, click on OK and your site will be set with the new master page, theme and the css file.. 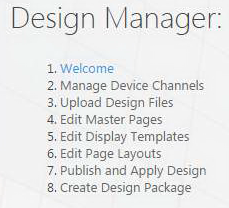 Here we saw an article on Design Manager in SharePoint 2013 & Office 365 with the seventh configuration panel ‘Publish and Apply Design’ on the list. There are more to come. Keep reading and keep learning!